The people of Jammu and Kashmir and the very essence of democracy in state is facing a very serious threat by the BJP-led Centre in which the NC and PDP have become willing collaborators. Trashing the “high-moral stand” taken by the two major regional parties on Article 35A, the state Congress president Ghulam Ahmad Mir on Tuesday said that it is a part of a design to allow a certain political process to happen in the state. When asked to elaborate, Mir said that NC and PDP make misuse of their positions as Kashmir’s pre-eminent regional political parties. “By way of that, they bargain their position with the Centre—even a Centre led by Prime Minister Narendra Modi-- while at the same time, sounding emotional for Pakistan,” he said. “Since BJP got the highest number of seats it could get in 2014 Assembly elections--there is no possibility of going beyond that, but still it has a seventy year-long mission behind to get into power in Jammu and Kashmir. “There is no possibility of getting into the Legislative Assembly in same way as 2014, but one of the milestones in BJP’s journey in state could be getting through the basic grassroots democratic process. 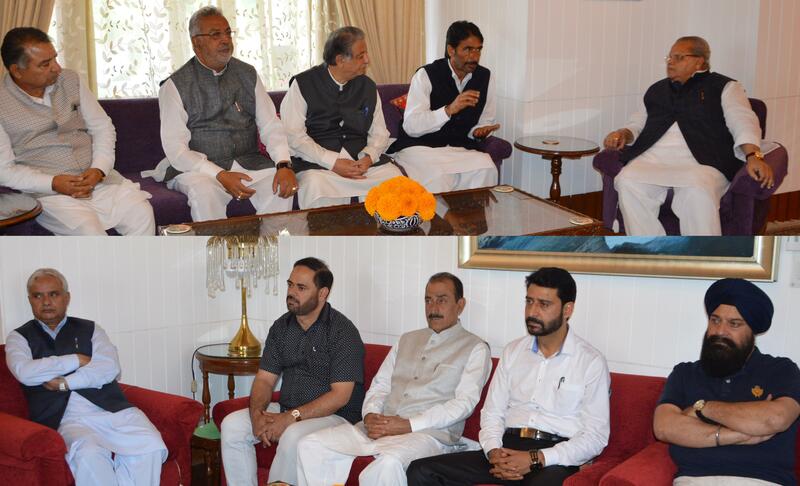 NC and PDP have decided to stay away from the upcoming polls to allow BJP to achieve just that,” Mir alleged. This can trigger a massive unrest in Kashmir, Mir said. I can also foresee a KCR-type plot happening in Kashmir, he added. Mir informed that a delegation of senior leaders which he led to meet Governor Satya Pal Malik today, apprised him of their concerns. “We discussed this issue with Governor in today’s meeting. There were a few things which were cordial on both side, but there were a few things which were not acceptable to both sides. “We have had a wider-consultation with our people in Jammu, Ladakh and Kashmir as well on participation in the polls. Tomorrow, we are going to take a wider-view in another meeting,” Mir informed. “After having the consultation tomorrow morning, a team of our senior leaders will fly to New Delhi and hold discussions with national leaders as it is very important to have their view-point on polls. It will be after that the party will announce its decision,” Mir said.